Julie Silber's Blog: "...barely contained vibrations..."
Wanna see why I love Joe Cunningham? 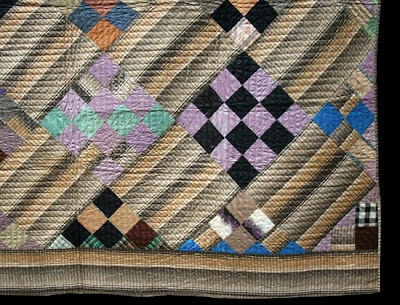 I am getting ready to list this fabulous circa 1870s silk quilt for sale on our website .... and I found myself lost for words. Skip to below the photos for Joe's inimitable "take" on this one! 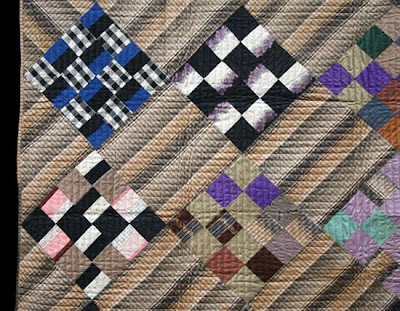 Quilters of the past had an entirely different relationship to symmetry than modern quilters. 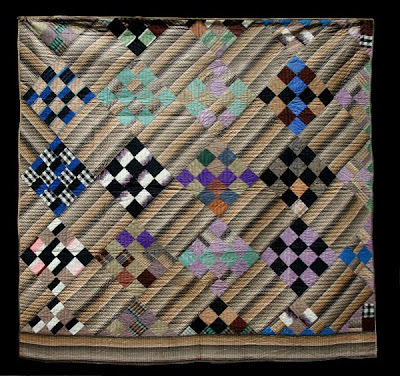 In this era has grown the idea that a quilt which is done "right" is done in a way so that elements are more or less symmetrical. This quilter was indifferent to that idea. She treated some of the blocks as if they were single 16-patch units and some as if they were made of four separate four-patch units. In two of the blocks she squirts a line of color across the middle. The seemingly airbrushed stripe of the background fabric is carefully cut to go always in the same direction, except for the two triangles in the upper left, which, by being flipped the other way, disrupt the diagonal flow. Cover them up and you see a restful, pleasant design. Uncover to see barely contained vibrations. 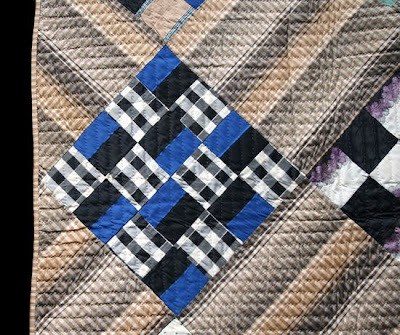 I love Joe's quilts too...all the clean lines with the stripe fabrics. 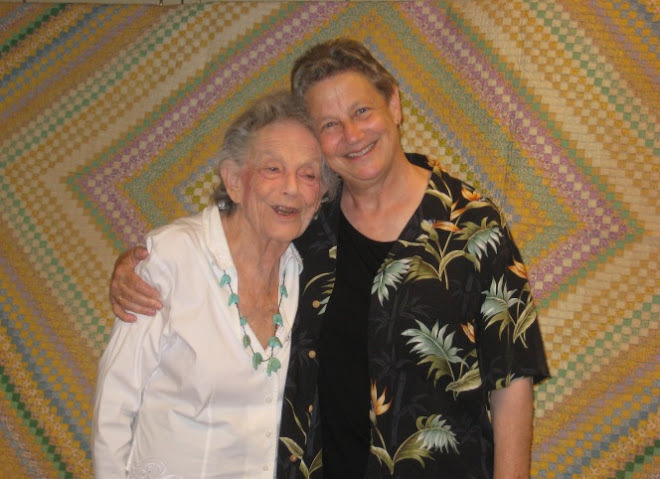 And if a point is not perfect, it adds more to the quilts.